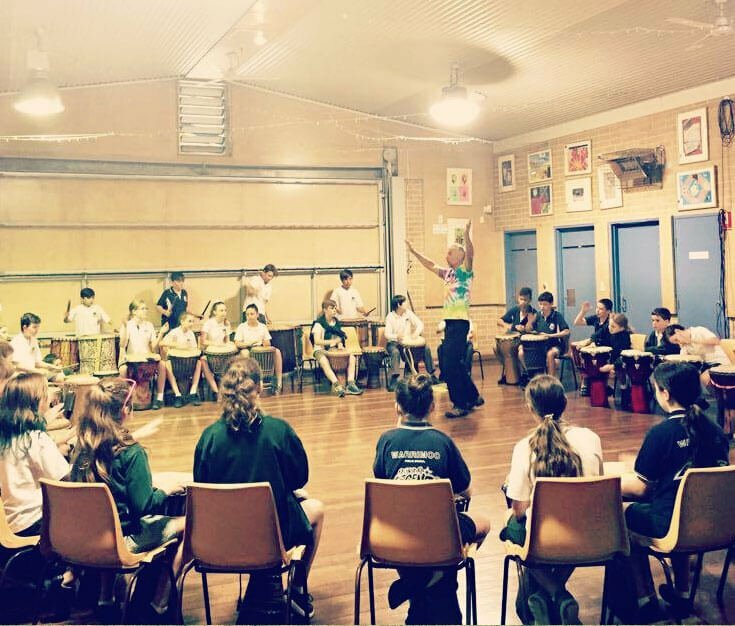 Hands Heart & Feet offer a range of fun, accessible school workshops – including drumming, dancing, yoga, meditation and storytelling. John and Emily love working with all ages, and can adapt workshops to be suitable from kindergarten to high school students. Benefits for students include engaging motor skills, developing listening skills, participating in creative arts and cooperating with each other. In students’ increasingly busy lives, Hands Heart & Feet workshops also provide space, stress relief, and restorative enjoyment. John and Emily from Hands Heart & Feet have developed a unique and beautiful style of storytelling, where John drums at the same time as telling a story, while Emily dances the characters. John and Emily work with a variety of traditional stories from all over the world, and if requested, can tailor the theme of their story to work with a particular issue or focus. A storytelling session typically goes for one hour, which includes a combination of music and dance performance, along with interactive games and / or discussion. 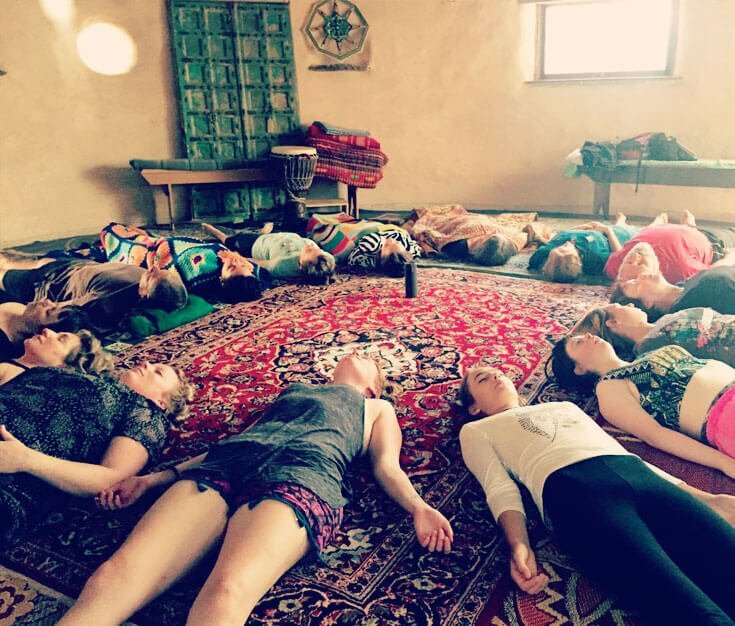 Hands Heart & Feet offer corporate workshops like no others, combining relaxed humour with depth and connection. 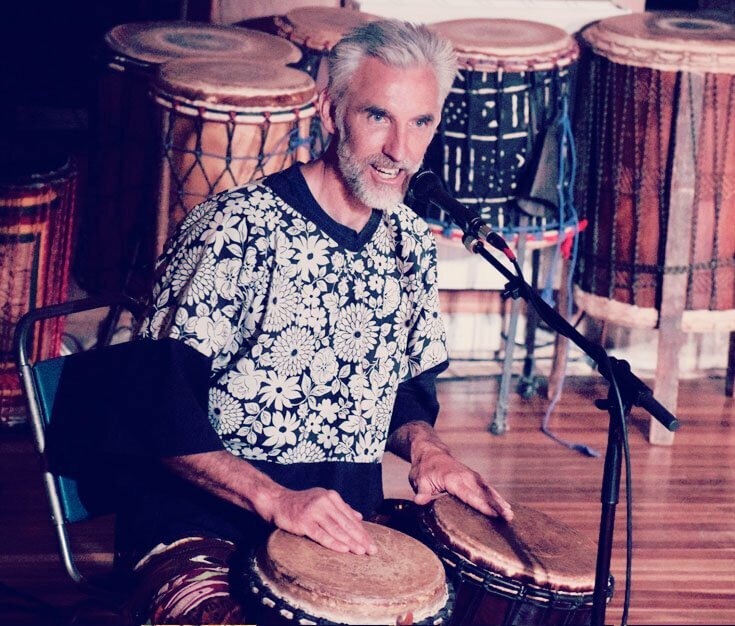 Whether drumming, dancing, storytelling, meditating, doing yoga or a combination of the above, our focus is on connecting people to themselves and to each other. For those working with a theme or intention, we can weave this sensitively into our offering. 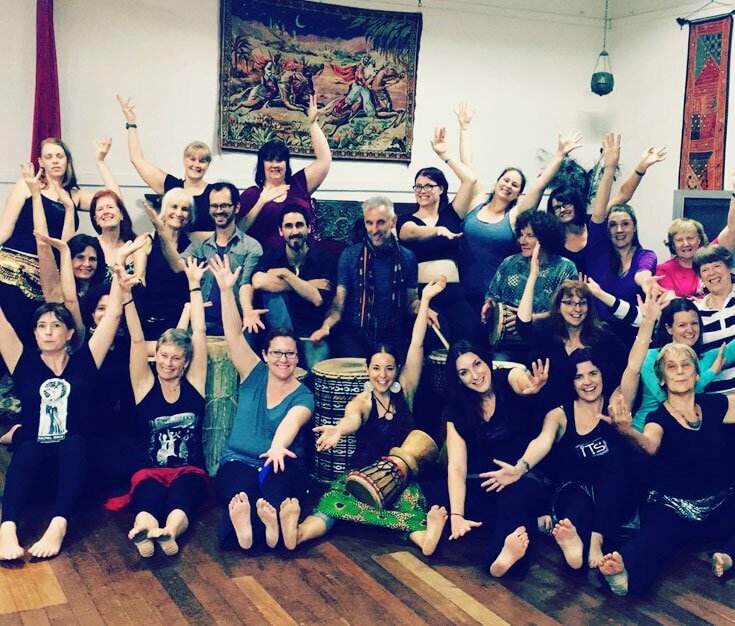 Hands-on and accessible, Hands Heart & Feet corporate workshops are intelligent, down-to-earth and enjoyable. 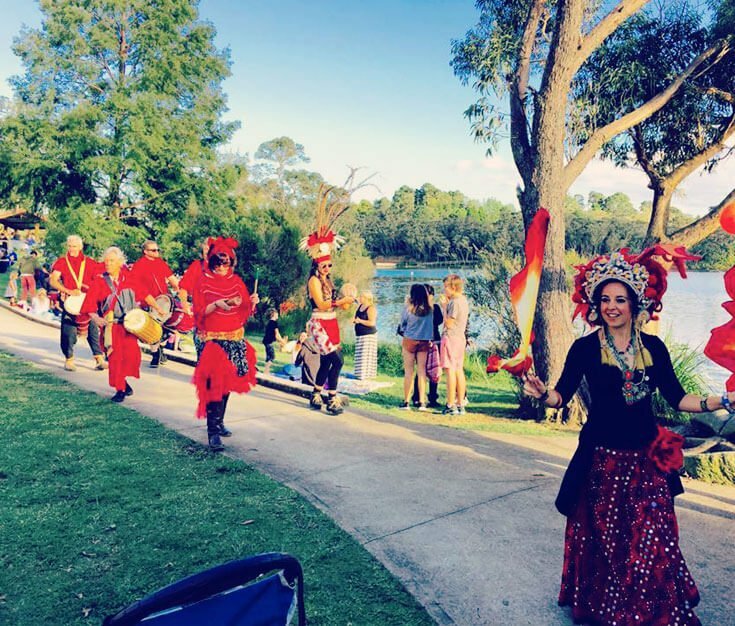 From ambient background percussion, to dynamic music and dance, to beautiful storytelling, Hands Heart & Feet performances add instant atmosphere and festivity to an event. We’re flexible in our approach and can create a style of entertainment that works for you. 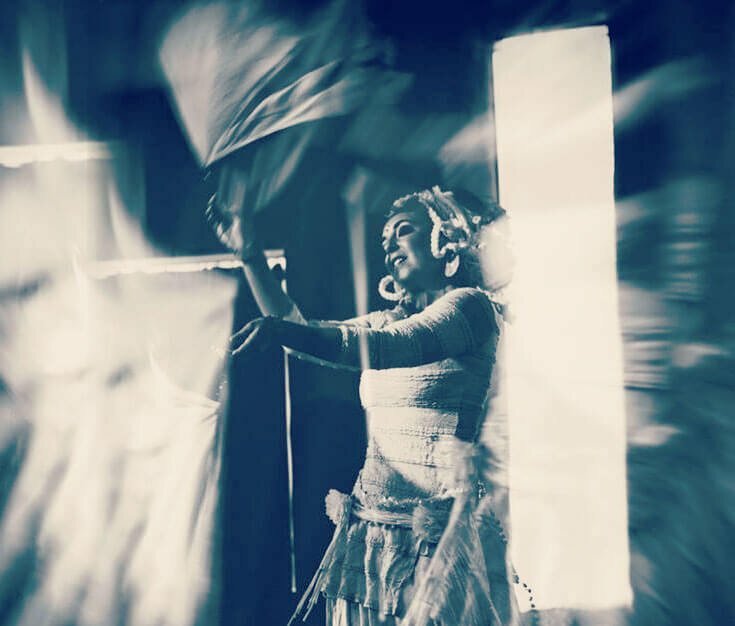 Our performers are consummate artists, with a capacity to be sensitive and spontaneous, responsive to the live environment. 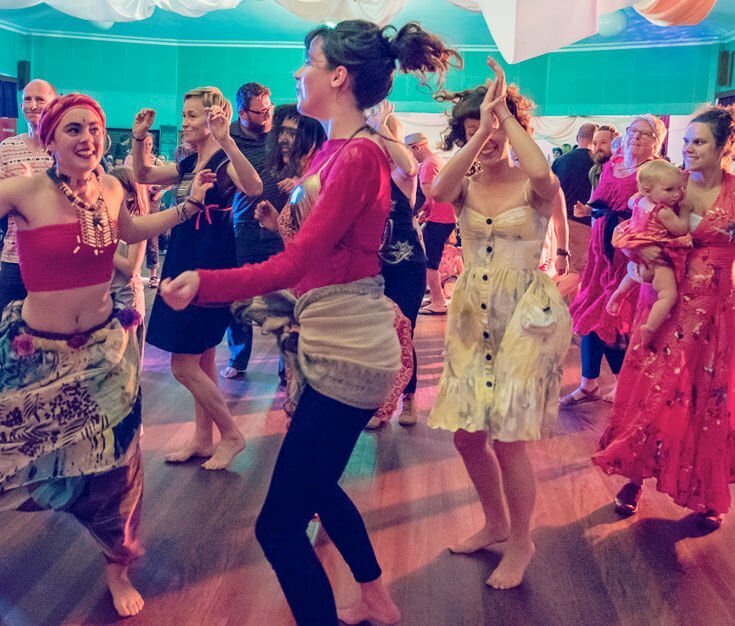 Hands Heart & Feet offer performances, workshops or a combination of both at festivals and camps. John and Emily’s unique artistry and inclusive spirit adds beauty and joy to any event. We’re flexible in our approach and enjoy working in with existing themes or artists to help ensure a cohesive and complementary experience that is enjoyable for all. I’ve been facilitating corporate groups for over 20 years, and Hands Heart and Feet have provided me totally brilliant team experiences for that whole time. Yes, they are totally professional, their music, dancing and percussion are amazing, and they are SO MUCH MORE. The depth of their experience, their ability to create fast rapport with any group, and their gentle and inspired facilitation has never failed to touch the groups I have entrusted to them. They are the best. On behalf of Warrimoo Public School students, staff and community we wish to celebrate and acknowledge the truly inspirational partnership that Hands Heart and Feet have within our school community. 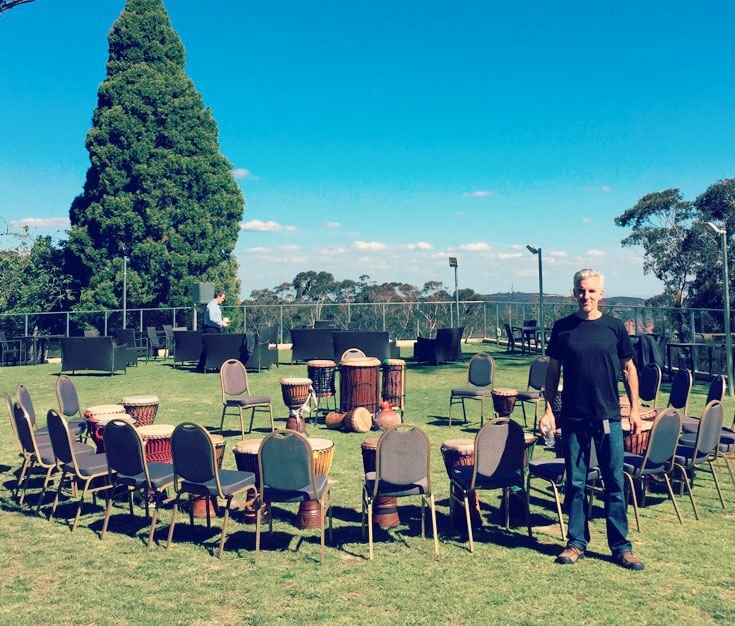 John and Emily’s undeniable passion and authentic connection with the children has provided engaging, energising and inclusive drumming and dance programs over many years at our school. Our school community have thoroughly enjoyed their very professional manner in building students confidence, self-esteem and love of music. Wow, what an incredible experience we all had on Saturday night with you, Emily. Thank you! It took us all to a whole new level! 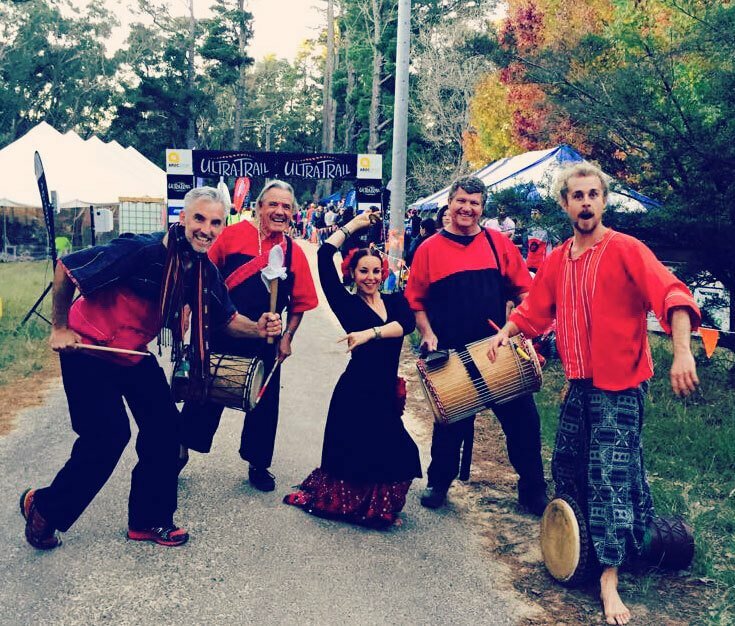 The drumming, dancing and yoga really helped tie everything together from the retreat. It was extraordinary! I loved how everything that you were saying tied in with what I was teaching across the 3 days. The women were really blown away. You are one special soul. Thank you for your gifts and for your beautiful presence.